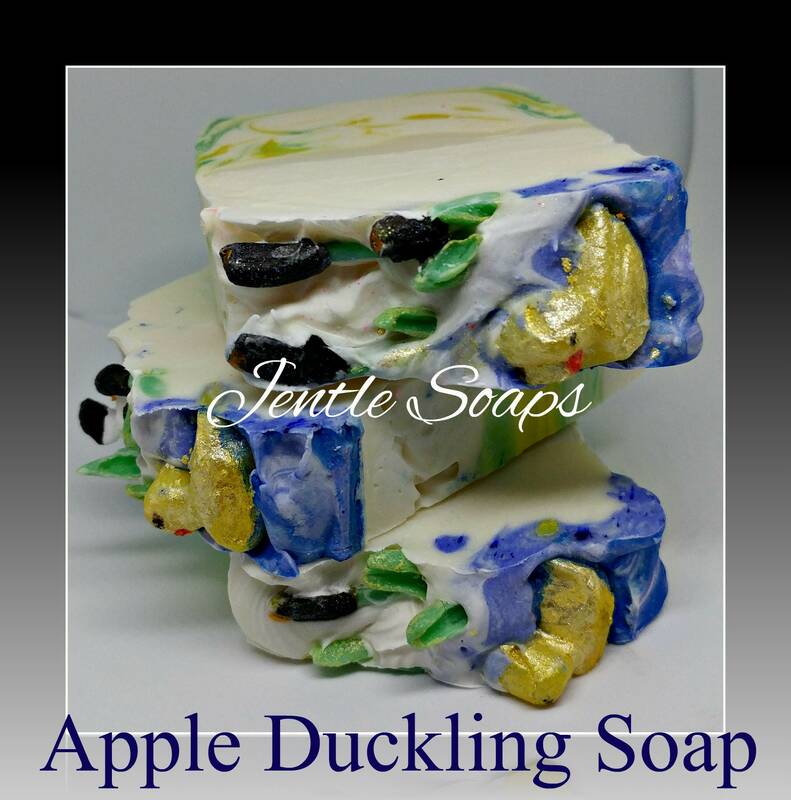 Apple Duckling soap was inspired by my small flock of Muscovy ducks that provide me with lots of eggs and baby ducks each year. The hen's get broody every time they start laying. Caring for their young they're not so great at so we always bring them inside to the brooder as they grow out their feathers. As a result all out ducks follow us around like we're part of the flock. The ducks were pressed and hand painted. Each of the cat tails (Acalypha hispida) and leaves were hand molded and painted. Scented with apple dumpling fragrance it's like a delicious baked delight of apples, lemon and cinnamon with notes of vanilla and other spices.